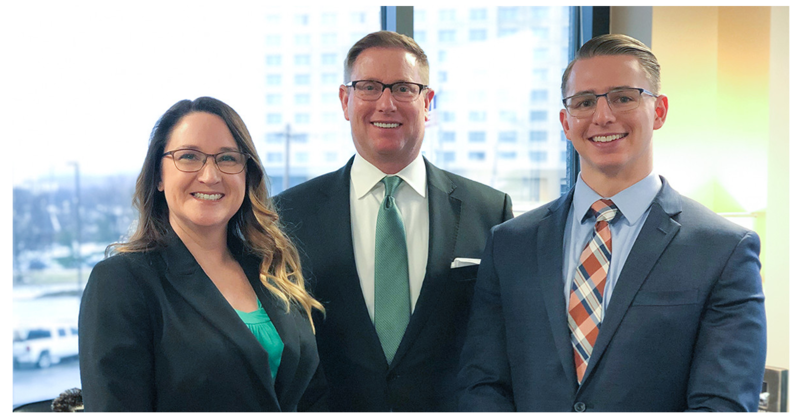 Overland Park, Kansas (February 8, 2019) Keen Wealth Advisors continues to expand the firm’s breadth of knowledge, capabilities and client service by welcoming Lisa Brummett and Max Filbeck to the firm as paraplanners. Brummett, who is a Licensed Professional Clinician, brings over two decades of experience helping individuals tackle some of the most difficult challenges in life ranging from substance abuse to mental health crisis. Brummett’s addition to the team at Keen Wealth marks her return to the financial services industry where she was previously a long-term care specialist. “I’ve spent the bulk of my career helping people in need. I’ve developed and refined my skills in listening, empathy and communications to identify the specific needs of those in crisis. I look forward to applying those same skills to help our clients realize their retirement goals,” said Brummett. “We are in the business of helping clients prepare for their life after retirement. Much of that effort involves counseling clients to identify and address their specific needs and challenges. The addition of Lisa brings a truly unique perspective and additional diversity of thought to our team that we are confident will benefit our family of clients,” said Bill Keen, founder and CEO of Keen Wealth Advisors. Max Filbeck joined the team in 2018, bringing another credentialed professional to the staff at Keen Wealth. After graduating with his Bachelor of Science in Finance and Financial Planning from Missouri State University, Filbeck earned his Chartered Retirement Planning Counselor SM designation through the College for Financial Planning®. According to Filbeck, his desire to get into this business was influenced by his parents who, like many, were impacted by the recession in 2008. “Despite being very penny savvy, my parents were heavily impacted during the financial crisis and it took them many years to recover. That experience drives me today and I look forward to helping clients avoid pitfalls so they can enjoy the lives they worked so hard to attain,” said Filbeck. Keen Wealth Advisors is a Registered Investment Adviser. Advisory services are only offered to clients or prospective clients where Keen Wealth Advisors and its representatives are properly licensed or exempt from licensure. No advice may be rendered by Keen Wealth Advisors unless a client service agreement is in place.